It’s hard to beat the smell of seasoned pinion pine logs burning in your wood stove… but there comes a time when even the sweetest of smoke smells get pretty dang tiresome. During a long, cold winter like this one, you may get sick of smelling like a fireplace every single day. 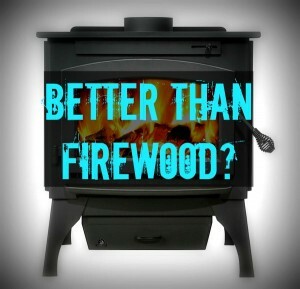 Even more likely, you’ll run out of seasoned wood and turn to burning junk or even fresh cut or green wood. While it does provide warmth, unseasoned wood isn’t the best, cleanest, or the cheapest option. In fact, wastepaper logs can burn for 5-6 hours, substantially longer than real wood (even oak) and leave less creosote buildup in your chimney. Watch the videos below to see how quickly this process can be done with the right tools. Have a fireplace tip to share? Leave a comment below! Hey Reverend. One thing I’ve noticed with these paper logs is that they don’t burn as easily as paper or logs. The best way I’ve found to get them to going is to get a wood fire going first, then put these on. Once they get to burning, you can skip the wood. Everything burns when it gets hot enough. Make sure the paper youre using isn’t coated in some kind of flame retardant. That can be a problem sometimes. I made the paper log and the rolling setup. Dont burn. Was a waste of time, money and effort for us. God Bless All Who Praise Him Whereever They Stand. I’ve tried this before and it’s a good source of heat. The major drawback is that paper ash does not reduce down like firwood ash. For every cubic inch of paper log, you get a cubic inch of ash. I have an outdoor wood burning furnace with a fire 24/7 365 days/year. I normally take out a shovel full of ashes per day but with paper logs I have to remove about the same volume as I put in each day. I do a fun firestarter when camping with kids to give them a hand in starting a fire. I take a 1/2 sheet of newspaper, lay it on a flat surface (ground or picnic table). I then give them an old/scrap candle and a plastic serrated knife (the kind that of plastic knifes and forks that you take camping). They scrape the wax from the candle onto the newspaper sheet…the more the better. They can even throw in some chunks if they want. Then you carfully wad up the newspaer making sure to keep all the wax inside and stuff it into an empty toilet paper roll. This works fine as is, but… you can then send them around collecting tinder to stuff into each end of the roll. The kids really enjoy it and it keeps them occupied for awhile! I stuffed empty toilet paper rolls with lint from the dryer. I have made paper logs from newspaper tied with string and soaked in water. Stored them but have not burned either yet. Dave, You could always go with simple twine to twist the paper together. That would eliminate the need to remove the wire from the ashes. Trial and error will tell you how much to use. FIREPLACE THERMAL BLOCK: If you start a fire in a cold fireplace on a cold day, you may get a “thermal block” which prevents the smoke from exiting the chimney resulting in smoke rolling out of the top of the firebox and into the room. To quickly eliminate the thermal block, very loosely crumple a single sheet of newspaper, a couple of paper towels, etc., place on top of logs and light it. The resulting high flame will break the thermal block and the smoke will rise completely out of the chimney and cease to enter the room. A number of different chemicals are used in producing newspaper ink, though the most prominent ingredient is typically soybean oil. This is called the “vehicle” in the ink and was previously usually made with petroleum oil, though recently has been made primarily with soybean oil. A number of other ingredients and chemicals are then added to this to produce the ink. These include dyes and pigments, which can be organic or inorganic in nature, as well as other additives such as paraffin or wax to help the newspaper ink dry faster. The other ingredients added prevent the soybean oil-based ink from being completely biodegradable, though it is somewhat easier to recycle than petroleum-based ink. The black ink on black and white newspaper is soybean oil and carbon black. Neither one are toxic when burned. The chemicals in the paper are another matter. My fireplace, like the optimum fireplace, draft is engineered to allow maximum heat with no smoke entering the room. If you are getting smoke into your room, try increasing the draft by stacking bricks (on edge) on the side(s) at the rear of the fireplace to increase the front-to-back ratio, thereby increasing the draft. It should only take two or three bricks stacked on edge depending on the size of the fireplace. Any way to not have to use the wire? more tape, maybe? Eliminating this step would make the process much easier rather than having to fish the tangled wires out of the ashes…..especially when needing to maintain a fire 24-7 during the coldest months. Great info that led me to several other options. Several of which can be found in just about ANY back yard. Virtually anything laying around in your backyard that grows has carbon. Carbon is the fuel-source that burns. There are so many techniques that can be utilized that your options are nearly endless! 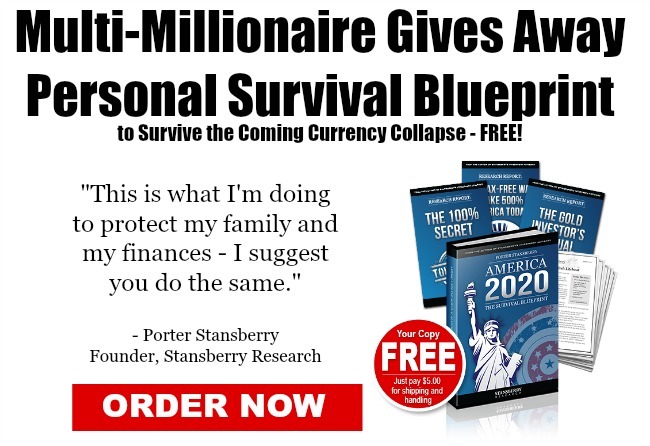 Thanks for passing this link onto us, because it gave me several ideas that are now being pursued by me and my family. Save those cardboard rollers from paper towels and toilet paper. Fold 2-3 together and insert to whole roll for fire starters. Keep a thin plastic grocery bag near your trash bin and fill it with torn unwaxed paper food package boxes (about 2×2 inch pieces). These also can be used as fire starters or fillers when low on wood just toss the full bag to the back of the hearth. Also a great way to shrink garbage output. EXTRA FYI; anything with formed plastic can blow up from heat, so don’t use plug ins or plastic candle containers near open heat sources (outlets included) they do cause fires. Colored ink from magazines can release “harmful chemicals” when burned, according to the EPA (read: non-toxic but not exactly healthy either). The EPA does recommend using newspaper to start fires, so B&W newsprint is definitely optimal burn material for this application. So does burning newspaper smell really bad and is the it toxic to breath the fumes???? You can get the “old” newspaper log rollers from the Lehman’s catalog. They are in Ohio and have all kinds of stuff for homesteading. Unfortunately the chemicals used in making newspapers, including the ink, are toxic and should not be inhaled let alone touched. Good idea in a no other choice situation though I guess but I’ll stick to hardwoods. THE TROUBLE WITH NEWSPAPER LOGS IS THAT THEY SMELL LIKE GARBAGE WHEN BURNING. THEY REALLY STINK! There is an additional video on this page that is titled “grocery stores fear him” about growing your own organic food. I watched (listened to) the video and wanted to check it out but there is no “go to cart” button like the video states. Can you lead me to this website? P.S. thanks for the firewood video. Wow! Great info! Hey Kathryn, I’m not sure why you’re having trouble forwarding the email. You can always copy the link and email it to your daughter. MY OLD, VERY CONSERVATIVE MOTHER HAD A SIMPLE HAND-CRANK PAPER ROLLER WHICH SHE USED TO PROVIDE FIRE PLACE HEAT. IT WORKED BEAUTIFULLY, AND FOR AN ELDERLY RETIRED PERSON, IT GAVE HER SOMETHING CONSTRUCTIVE TO DO AND PROVIDED EXERCIZE AND PRIDE AT THE SAME TIME. OF COURSE, HERS DIDN’T HAVE THE HANDY LITTLE TAPE APPLIER — SHE WOULD HAVE LOVED THAT. I spent years scrubbing the glass on my small wood stove on the back porch, then read that ash will clean it the best. It worked!! Spray some window cleaner (water might also work, I haven’t tried it yet) on a rag and dip it in some cold ashes. It cleans the glass better and faster than just window cleaner and is cheaper and friendlier than the nasty chemical stuff. It’s kinda like lava soap, doesn’t scratch and is fast and free.